If you’re a client at the Well of Life, you may have spoken to one of our clinicians about birth control. Birth control options and methods are something we keep on our radar as clinicians. Our Senior Clinician Victoria Fisher wrote a wonderful blog a few months ago on different and healthy birth control options. 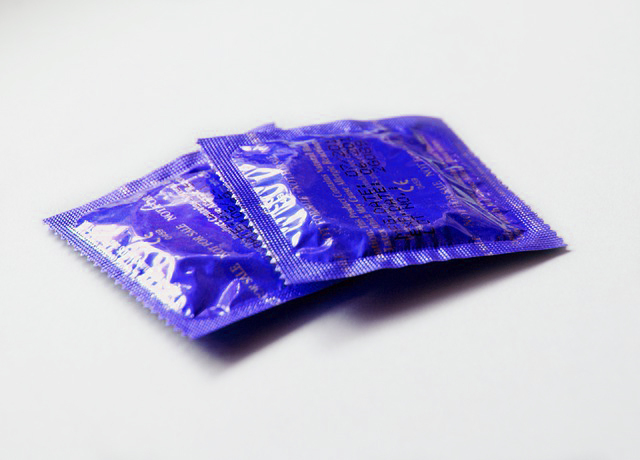 One of the most popular methods of birth control is condoms. Condoms are readily available and easy to use. Yet, did you know that many of the generic brands of condoms are full of chemicals that can disrupt hormones and cause stress to your delicate vaginal area? One of the nice things about condoms and condom companies is that they tend to be upfront with what is in condoms. They don’t say they are “healthy,” but they also don’t hide the ingredients (for the most part, that is). So what are some ingredients to avoid? Let’s reference Glyde, a chemical-free condom company, as we take a look at some of the common ingredients in condoms that may be causing more harm than good. Nonoxynol-9, or N-9. Simply put, this is a spermicide, AKA a chemical used to kill sperm. This is likely the most dangerous of the chemicals used in condoms, as it can break down the health of the vaginal wall and leave you more susceptible to STD’s and UTI’s, the opposite of its advertised intention. Ladies, if you are prone to UTI’s and/or yeast infections and use condoms, please look into the ingredients of your selected brand! Dr. Mercola has shown that this spermicide does not add any additional protection to the condoms, and, in fact, referenced the World Health Organization in stating that they are just as effective as silicone. Parabens. If you have read any of our past blogs on products and antiperspirants, you may already know how we do NOT like parabens. Parabens have been linked to hormonal issues as well as other health issues. Glycerin. Hello, yeast infections! Glycerin is a chemical, or preservative, found in lubricants. Yes, some condoms come with lubricants already on them. So why is glycerin bad? It breaks down into sugar, and what does sugar feed? Yeast! So what are some healthy condoms? There is the Glyde brand that we refer to above. Also, Sustain Condoms and L-condoms (both of these companies also have healthier female products as well). Also, lamb skin condoms are a great option. Please, please, please be careful when picking condoms! Remember, if you are carefully selecting the personal care products you put ON your body, isn’t it right that you nit-pick what goes IN your body? Ladies, don’t be afraid to be a verbal and active participant in picking condoms; remember that your man isn’t the only one using them!